Spence Field and Rocky Top are two popular overlooks along the Appalachian Trail in the Great Smoky Mountains National Park. They are located on Thunderhead Mountain and feature truly breathtaking views of the mountains of Tennessee and North Carolina. Though the views are inspiring, this hike is not for beginners. The primary trails to Rocky Top are steep and require over 10 miles of hiking to reach the destination. If you do plan to hike Rocky Top, start early in the day and bring plenty of food and water to stay nourished during this long hike. There are two primary routes to Rocky Top. Both routes meet up with Bote Mountain Trail and follow the Appalachian Trail north bound to the summit. The trailheads for Rocky Top are located just before the Cades Cove loop road. The Lead Cove Trail shares a trailhead with the Finley Cane Trail. From the Townsend "Wye," drive 5.6 miles on the Laurel Creek Road towards Cades Cove. The parking area for the trail is on the left. This trail offers the shortest route to Rocky Top and Spence Field with a round-trip distance of 11.8 miles. Hikers will take the Lead Cove Trail 1.8 miles until it intersects with Bote Mountain Trail. Hikers will then continue on right on Bote Mountain Trail until it intersects with the Appalachian Trail. Turn right on the Appalachian Trail to continue towards Spence Field. Anthony Creek Trail begins in the Cades Cove Campground. With a round-trip distance of 13.9 miles to Rocky Top, this route is slightly longer than the Lead Cove Route. To reach Rocky Top, hikers will take the Anthony Creek Trail 3.5 miles to the Bote Mountain Trail. From here, they will turn right on Bote Mountain Trail and follow it another 1.7 miles until it intersects with the Appalachian Trail. Spence Field is only a about 100 yards after turning right on the AT. On the way to Rocky Top and the summit of Thunderhead Mountain, hikers will come to Spence Field, an open field with stunning views that straddles the high ridge of the Smokies. At an elevation of 4,928 feet, Spence Field is a beautiful destination in its own right. Spence Field is named for James Spence, an early settler who built a hunting cabin near this area in 1830. Before the national park was established, this area of the ridge was a large grazing pasture for sheep and cattle. In the summer, Cades Cove residents would bring their herds up to Spence Field to feast on the rich mountain grasses. However, animals no longer graze these mountain balds, so these fields are gradually becoming overgrown with time. If you arrive at Spence Field in June, you can see a spectacular display of pink and white mountain laurel. After several miles of climbing, this spot is a great place to rest before climbing to Rocky Top or making a return trip. By looking north from Spence Field, you'll be able to see Thunderhead Mountain and Rocky Top, the closest subpeak to Spence Field. From Spence Field, hikers must travel another 1.2 miles north-bound on the Appalachian Trail to reach Rocky Top. This last section of the hike is perhaps the most difficult, as you'll have to climb another 550 vertical feet to reach the summit. However, after a steep climb on the Appalachian Trail, hikers will eventually reach a rocky outcrop that features incredible views of the Smoky Mountains. Rocky Top is at an elevation of 5,440' above sea level. If you started your trip at Anthony Creek Trail, you would have hiked almost 7 miles and climbed over 3,000 vertical feet to reach this point. 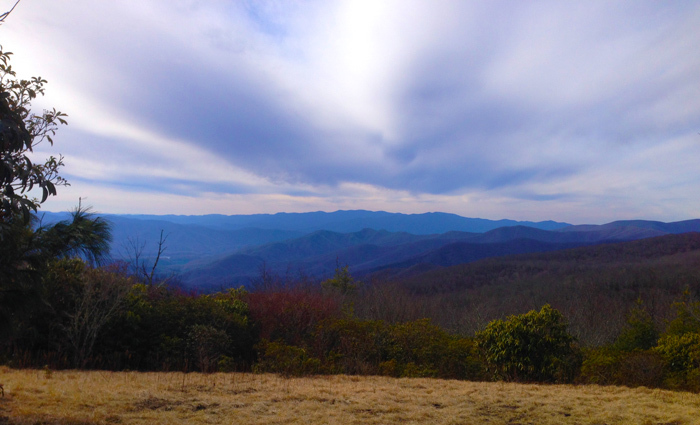 To the south, Spence Field, Cades Cove, and Gregory Bald are visible, while to the north, hikers can see Mt. 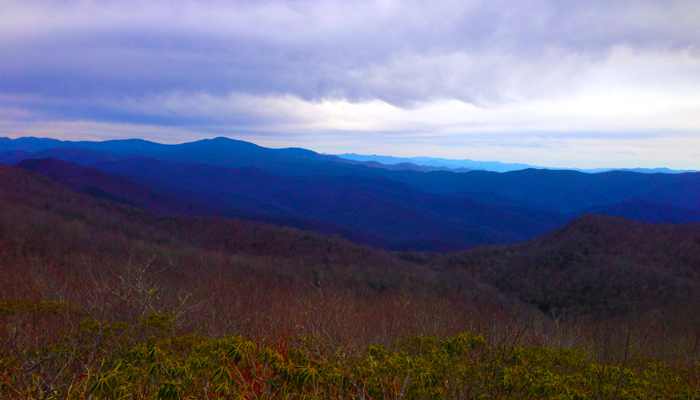 LeConte and Clingman's Dome. Rocky Top isn't the highest peak on Thunderhead Mountain, but it surely has the best views. 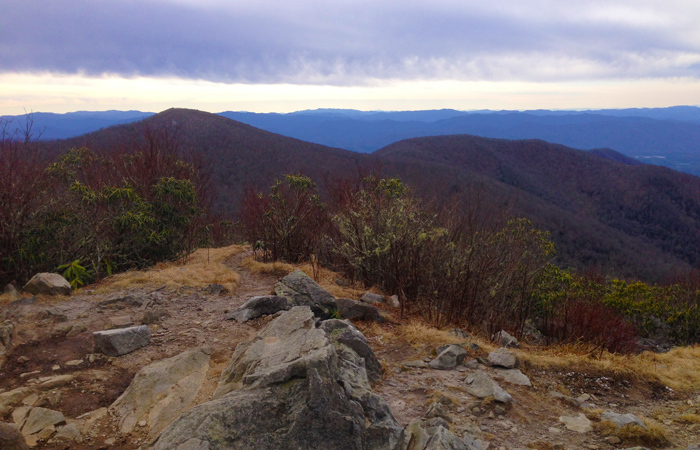 If hikers would like to summit Thunderhead, they'll have to continue .4 miles further on the AT. At this point, you will have reached the 5,527 foot summit, but tall brush makes the views lackluster. Many speculate that Rocky Top (one of the subpeaks on Thunderhead Mountain) inspired the song Rocky Top, written by Felice and Boudleux Bryant in Gatlinburg, TN in 1967. This tune is now a favorite of the University of Tennessee and an official song of the state of Tennessee. The hike to Spence Field and Rocky Top is one of the longest and most challenging hikes in the Great Smoky Mountains National Park, but the reward is well worth the effort. Once hikers reach the Appalachian Trail, they'll be treated to some of the most stunning scenery in the Smoky Mountains. As an added perk, after you complete your hike, you can say that you've experienced one of the most iconic mountains in all of the Smokies.